I’ve heard that this reality is really a hologram, and sure, I can believe that. But it’s kind of abstract for me. I see the concept, but can’t really put it to use. I’m a dreamer with a highly developed practical side who paints realistically and thinks rather literally. But the other day I was thinking of how is it possible that we can be so separate-looking, and yet be All-One? What does that look like? 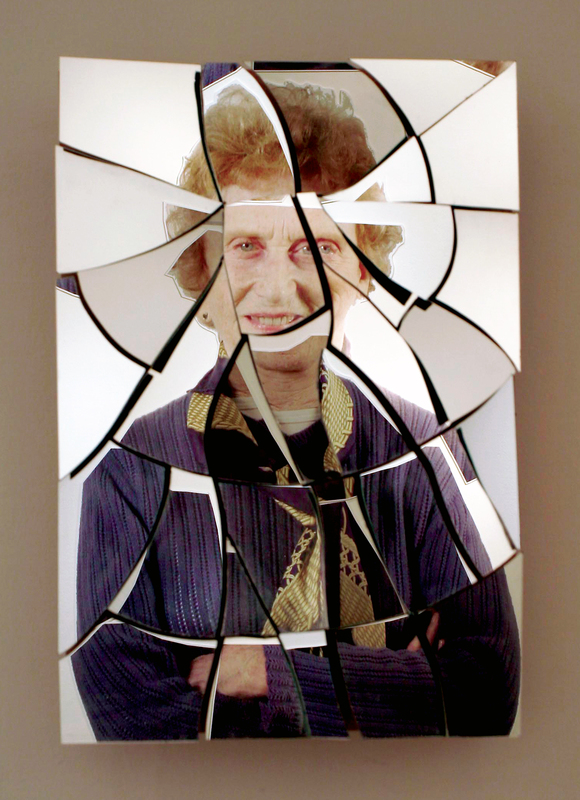 Well, today I thought of a cracked mirror, or cracked glass. And how it’s still a mirror, cracked or not. And each shard or fragment is still a part of the whole mirror, no matter where that shard is. My header image for this site is called “The Shattering.” (Full image here) To go through a shattering experience is devastating. Some of us don’t make it through, or we return, shattered still. Others of us seem to find the shattering as a way to connect with Source. To Unity Consciousness before ‘the mirror was shattered’ and All was One. Creating pictures in the mind, visualizing, imagining, this is all good. Thinking in metaphors. Perceiving in the language of dreams, of right-brain intuition, by-passes the analytical separative logical left-brain that only sees the pieces and not the wholeness of the mirror, broken or not. 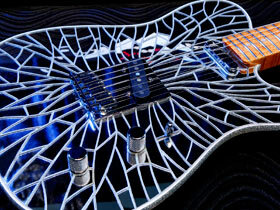 I like this picture of a guitar made of a shattered mirror. Like there’s music to be heard in the brokenness… maybe even more beautiful music than before. Like Keats Ode to a Grecian Urn. No longer surprised by the excellence of your work (isn’t that a double edge sword compliment if you ever heard one?). I was most attracted to the hologram idea. I don’t agree with it. Holograms are artificial projections where as relativity places the observer at heart of reality. I like that better. I think the greatest challenge exists in our programming, that the future matters or even exists as opposed to those determined to live in the present. The circumstances of our lives certainly create the present in which we live and our perception of it, hence the value of memoirs to grasp why we perceive as we do. Sort of a mosaic, that looks different to each according to the perspective we bring. If I looked through wavy blue lense, and you looked through cracked red ones, the mosiac wiould be the same , yet appear different. Nice perspctive you offer here.